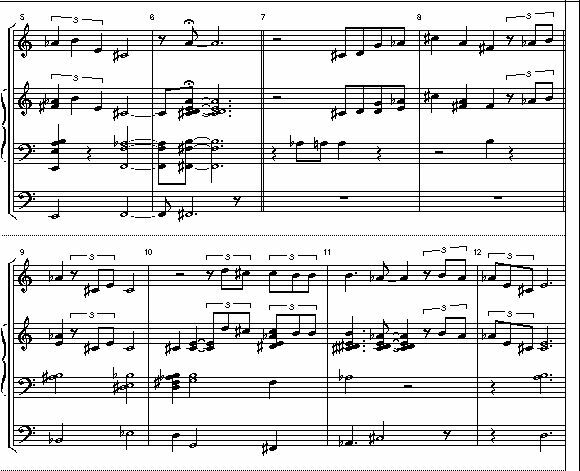 My term for this type of composition is "open cadenza ballad". It differs from other types of contemporary ballad forms in that there is less emphasis on reliance on the ensemble as a support system. It is entirely the obligation of each soloist to define themselves within the given reference material in the piece. In other words, there are no musical "crutches", so to speak. The complete group states the themes up to the fermatas and each musician takes an unaccompanied excursion making references to material stated in the previous section. There is usually a composed melodic cue leading the remaining group members into each section. 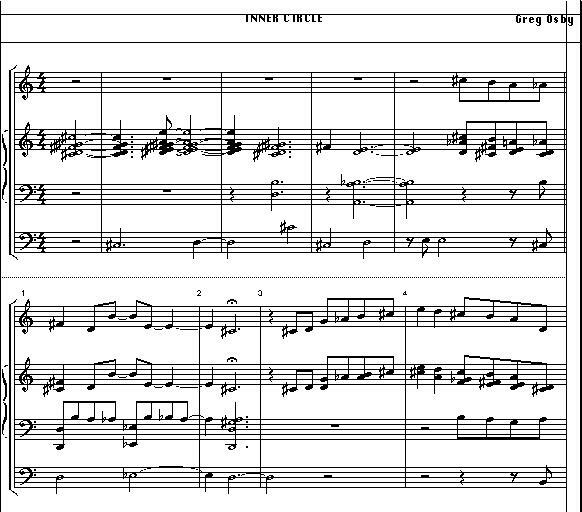 This form of composition is primarily a format which showcases each participant's expertise in outlining and detailing the melodic forms and shapes of stated melody. A contemporary theme and variations excercise, so to speak.